The Jesuits first came to Vietnam in 1615 to minister to Japanese Catholic refugees in Faifo (near modern-day Da-Nang). The first Jesuits, especially Alexander de Rhodes, S.J. (1593-1660), were instrumental in founding the Catholic Church in Vietnam, both in the South (Cochinchina and Champa) and in the North (Tonkin). Among their greatest contributions were the creation of the modern Vietnamese Latinized script (chu Quoc-ngu), formation of native catechists, and printing the first Vietnamese-Portuguese-Latin dictionary. Between 1615 and 1773 the region of Vietnam was a mission territory of the Province of the Orient (Japan). During this time 155 Jesuit missionaries served in both Tonkin and Cochinchina. In addition to the Portuguese, Italian, French, Spanish, Polish, and German missionaries, thirty-three native Vietnamese Jesuits, twenty-one of whom were priests, also worked in Vietnam from the end of the seventeenth-century until the suppression of the Society of Jesus all over the Church in 1773. The Jesuits were absent in Vietnamese territory since then, for almost two hundred years. After Jesuits were expelled from mainland China in the early 1950s, some came to Vietnam at the request of the Vietnamese bishops, for the formation of priests. Jesuits arrived in Saigon in 1957 and founded the St. Pius X Pontifical Seminary—the most prestigious seminary in South Vietnam—a year later in Da-Lat. The Jesuits engaged in teaching at universities, formation of college students, inculturation of liturgy, giving the Spiritual Exercises, and media communication. Before the end of Vietnam War in 1975, there were two college student centers that were analogous to Newman Centers in the USA: The De Rhodes Center in Saigon and the Xavier Center in Hue. The Society also published Phuong Dong, a journal of cultural studies, and operated an educational TV center. 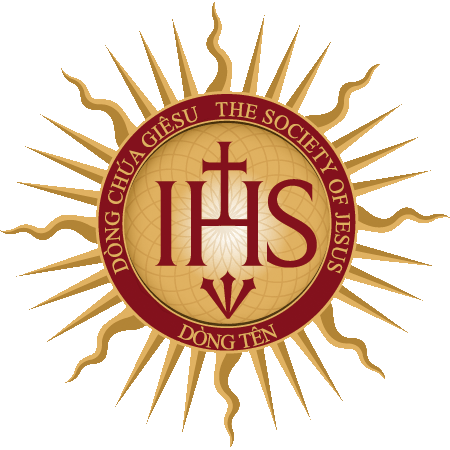 Beginning in 1960 Jesuits working in Vietnam began to admit candidates to the Society of Jesus. Regular formation was not in place until June 1966 when Vietnam was established as a dependent region of the Extreme Orient Province; which became China Province in 1970. A separate novitiate and formation program was developed for Vietnamese scholastics and brothers by the middle of 1960’s. In 1975, there were sixty-seven Jesuits of eleven nationalities living in six communities in Saigon, Thu-Duc, Da-Lat, and Hue; approximately two-thirds of whom were foreign missionaries. Among the twenty-six Vietnamese Jesuits, there were eleven priests, ten scholastics, one brother, and four novices, in addition to two priests studying abroad and fifteen candidates in the pre-novitiate program. Foreign Jesuits had to return to their homeland after the Vietnam War and the subsequent unification in 1976. Between 1976-1981 Vietnamese Jesuits lost most of their properties to the socialist government. Jesuit activity in Vietnam was confined to liturgical service. Because of a charge of “plotting a counterrevolutionary activity” against the socialist government in 1981 (known as the Dac Lo incident), the Society was severely persecuted. Most of the Jesuit superiors were imprisoned. Many scholastics were sent to military service, others to work in the far-away farms, factories. Formation was suspended until in the early 1990s when the superiors were released from prison and the Society slowly rebuilt itself. With the reorganization of the Society’s governing structure in South East Asia in 1991 the region of Vietnam was separated from the China Province. It operated as an independent region that reported directly to Father General Superior of the Society of Jesus Peter Hans Kolvenbach. A liaison office for the Vietnam region was established in the Philippines to maintain contact with the outside world. During the 1990s a few Jesuits were allowed to be ordained and the region of Vietnam resumed admitting candidates for the novitiate, though the formation and study could not be done openly until 2004. The relationship between the Society and the government improved at the turn of the millennium. Beginning in 2001 Jesuits was allowed to go abroad for sabbatical and advanced studies. Within one decade and a half, dozens of Jesuits have studied in Australia, France, Italy, the Philippines, Taiwan, England, Germany, Austria, Spain, and the United States. In 2004 the government recognized the legitimacy of the Society to recruit, admit and train our members in the candidacy program, novitiate and scholasticate. On May 10, 2006, the library of the former De Rhodes student Center in Ho Chi Minh City (formerly Saigon) was returned to the Society after thirty years of governmental usage. At the end of 2006 there were about 120 Jesuits (thirty-eight priests, thirty-nine scholastics, seventeen brothers, and twenty-six novices) living in ten communities: seven in Ho Chi Minh City, one in Dong-Nai, one in Binh-Phuoc, and one in Da-Lat. Vietnamese Jesuits were relatively young with the average age of twenty-seven. On July 14th, 2007, Father General Peter-Hans Kolvenbach made the Independent Region of Vietnam a Province. A stage full of hope began in this part of the Society. In the last decade, the Province has been blessed with a large influx of young aspirants. At this time (January 2017), there are over 150 college-age candidates in discernment to be admitted to the Society. Forty novices of both years are being formed in the novitiate. St. Joseph scholasticate, built anew in 2007, is now the house of study of almost 70 scholastics in philosophy and theology. Five new Jesuit houses have been erected, and Jesuit mission team residences established, across Vietnam. A good number priests, scholastics and brothers have been sent to different Asian, European and North American countries and territories for study, regency, and apostolic work. About forty of them still remain abroad now. At the beginning 2017, the Vietnam Province consists of about 236 Jesuits (71 priest, 125 scholastics and brothers, 40 novices) living in 15 communities (seven in Saigon, one each in Dong Nai, Da Lat, Pleiku, Da Nang, Vinh, Ha Noi, Vientiane, and Thakhek) and 4 mission residences (Thanh Hoa, Can Tho, Long Xuyen, and Kien Giang). The Province is still young with the average age of thirty six and a half. Since seventy five percent of the current Jesuits in Vietnam are either in formation, studying abroad, or retired, the scope of apostolic activities is somewhat limited. The institutional visibility of the Society is limited to seven parishes (two in Saigon, one in Da Lat, Pleiku, Da Nang, Thanh Hoa, and Hanoi respectively). The Jesuits own one retreat house in Dong Nai, but do not have any educational institutions at present. The Province’s ministries today focus on five priorities, defined for its ten-year project at a special meeting in 2010. Ad intra priorities consist in (1) the renewal of governance and (2) formation of ours. 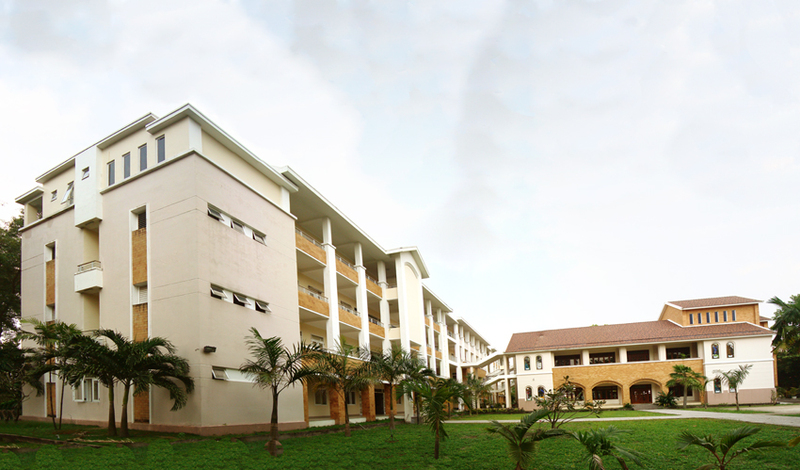 Ad extra priorities include (1) spiritual ministries by giving spiritual direction, retreats and the Spiritual Exercises to seminarians, priests, men and women religious, and laity, especially the youth, in many dioceses across Vietnam; (2) intellectual ministries by teaching at various ecclesial and religious institutions and by preparation for the establishment of a philosophical and theological faculty in Saigon; (3) evangelization and social apostolate. In addition, pastoral ministries in parishes, student apostolate, and mass media are also taken care of. The sending Jesuits as regents and as missionaries to different countries like Laos, East Timor, Cambodia, Thailand, Myanmar, Taiwan, Japan, Hungary has also been done in the past years. The aftermath of the Vietnam War brought many Vietnamese refugees to the West. Many men of Vietnamese origin began to join the world-wide Society in the 1980s and 1990s. At the present time about sixty Jesuits of Vietnamese origin belong to the provinces of California, Oregon, Missouri, New Orleans, Chicago, Australia, France, Germany, China, and Japan. 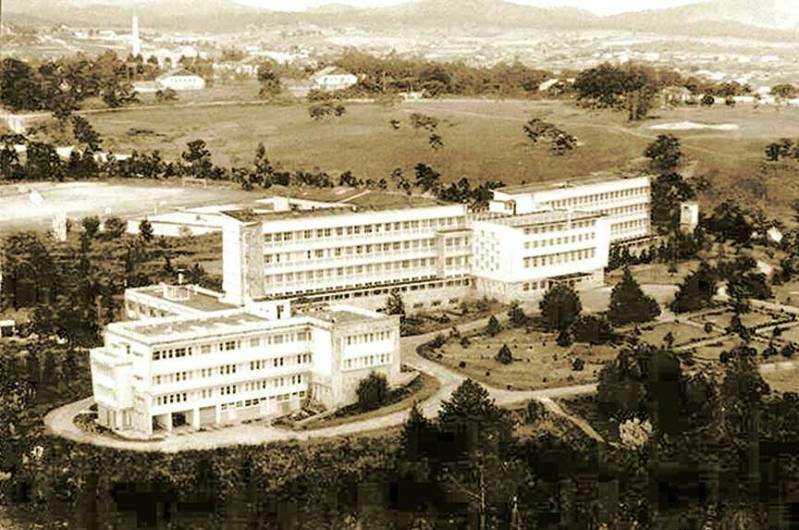 Many have visited and assisted their confrères in Vietnam in apostolic activities and in formation house. With Vietnam’s entrance to the WTO in 2006 and a warmer relation between the government and the Holy See, the Church is becoming more involved in social activities though not yet in education. At the present time, both Vietnamese society and the Jesuits are changing. It is hoped that the Society in Vietnam can once again resume the educational and intellectual apostolate, at the service of the Church in particular, and of the Vietnamese society in general.